You will gather today: 1) 21 welcome emails examples from top brands, 2) the current and future trends of social commerce, 3) a series of 100 lessons learned by a blogger after 10 years of working in the field, and 4) some customer service tips to make your customer support a better experience for your customers. 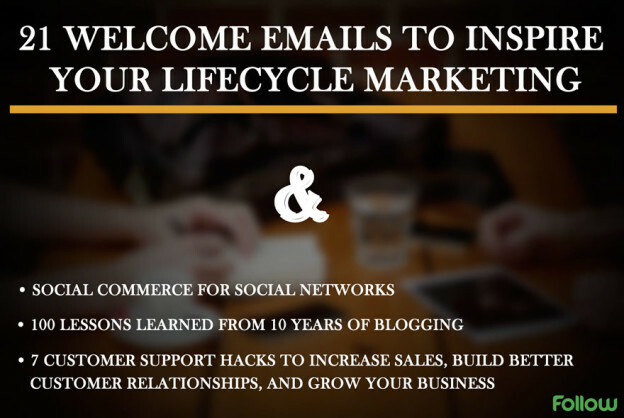 21 Welcome Emails to Inspire Your Lifecycle Marketing – Welcome emails are one of the best ways to make a very good first impression on your subscribers. Take a look at welcome emails by some great brands like Airbnb, Amazon, BuzzSumo, Ello, and more. Social Commerce for Social Networks – In this article, you will take a look at the current and future trends in social commerce. Social commerce is when a commercial transaction occurs as a result of a social interaction. 100 Lessons Learned from 10 Years of Blogging – Neil Patel — entrepreneur, angel investor, and analytics expert — shares some valuable lessons from his 10 years of blogging. 7 Customer Support Hacks to Increase Sales, Build Better Customer Relationships, and Grow Your Business – Find out how you can make your customer support better with these actionable, easy-to-implement customer service tips. 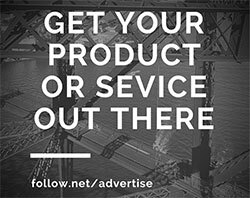 This entry was posted in Customer Acquisition Strategies and tagged blogger, blogging, brands, customer service, customer support, customers, e-commerce, social commerce, welcome emails on December 18, 2014 by Davide Di Prossimo.